The MiBed adjustable beds offer unique support to different areas of the body and can help relieve aches and pains. The mattress is MEDIUM feel and features luxurious layers of wool, silk and cashgora on 1200ct pocket sprung unit. Base available in 6 sizes and 4 fabrics as standard. 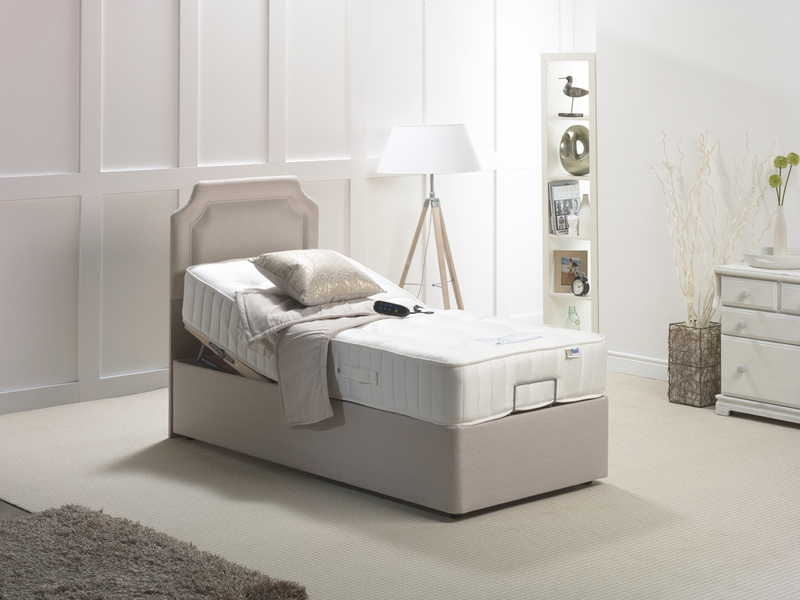 The bed is supplied with a 10" deep mattress which is hand tufted and therefore offers greater support. It also features luxurious cashgora, natural wool and silk on a 1200 count pocket spring unit. Wool, silk and cashgora offer an added level of comfort and they work with your body temperature ensuring you keep cool in the summer and warm in the winter. The mattress is medium feel, features a summer and winter side and a cotton viscose cover.